With the new Hollywood blockbuster RoboCop coming out this next year, Glu Mobile has developed a new RoboCop game for iOS devices. 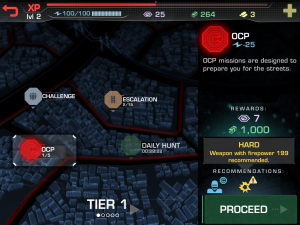 The game uses a mission select screen where you’ll have options to do daily missions, challenges, and story missions. As far as I can tell, they’re all pretty close to the same, just some are longer than others. 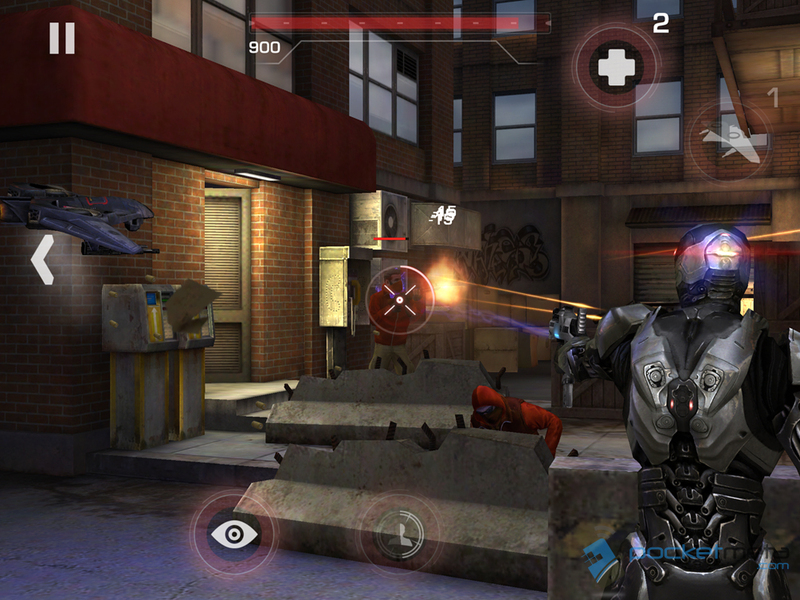 Glu Mobile has launched a new iOS mobile game RoboCop on the Canadian App Store. It really shouldn’t come as any surprise, I’m not sure the last time a Hollywood blockbuster was set to release – and we didn’t see a mobile spin-off. The game uses a 3rd person take-cover mechanic similar to that used in the mobile game EPOCH, though I wouldn’t be in too much of a hurry to compare the two. The app is free to download, and from what I’ve gathered the game relies heavily on in-app purchases. The kind of heavy were you’ll be hard pressed to get to mission 3 without dropping some cash, or grinding the same level over and over. This could obviously change between now and the time of the U.S. release. The art style and characters are based on the license of José Padilha’s upcoming remake of the RoboCop movie. RoboCop has continued to have a fair sized fan following for the 25+ year old franchise, and since we haven’t seen a RoboCop film in over 20 years, my guess is that plenty of folks will be regaining interest in the franchise with the upcoming film. Whether this interest will follow over to the mobile game spin-off is yet to be seen. One question I would imagine will be thrown around a lot over this title is, why RoboCop needs to take cover if he’s bullet proof? Considering the movie is to be released in February 2014, I would expect to see the full U.S release sometime around January if not sooner. Currently the release in Canada is said to be a beta/trial version of the game, so I’m hoping that some of the bugs and demanding cash shop purchases will get polished a bit better. There hasn’t been any word yet as to if we’ll see a release on Android devices, but I’m sure if the game is enough of a success there’s a good chance for it.